Are There More Career Options with a Bachelor’s in Nursing (BSN)? FNUAcademic Advising BlogAre There More Career Options with a Bachelor’s in Nursing (BSN)? Naturally, the first place a nursing graduate may look to for employment is a hospital. It’s a large medical facility that is usually in constant need of nursing assistance, not to mention it’s equipped with an emergency room that may need to pull doctors, nurses and staff away from their department at any given moment. Working in the medical industry, you need to be prepared to handle almost anything, whether it’s in the scope of your area of practice or not. As a nurse, you need to be a highly trained practitioner while having exceptional people skills. With these two traits, you’ll be able to do a lot more with your nursing degree than expected. No matter where you are in the medical field, there are two professions that remain constant: doctors and nurses. Nurses are needed to do what the doctors do not always have time to do. While doctors concentrate on examining, diagnosing, and treating patients, nurses are needed to administer these treatments and make sure that the patient is properly taken care of, no matter how short or long of a stay he or she is admitted. A nurse’s main duty is to coordinate the proper care of patients to the right healthcare professionals by directing, supervising other healthcare personnel, and assisting physicians. These types of duties are applicable in so many different sectors in the healthcare industry. Have you ever considered what type of degree your professors have? Chances are they either have a BSN or a Masters in Nursing (MSN). If you discover that you have more fulfillment in a classroom setting, but you also have a passion to help people in the medical field, perhaps the right career for you is as a nursing instructor at a college or university. Teaching jobs in nursing may require a certain number of clinical hours as well as classroom time, so depending on the type of teaching position you have or want, there may be a chance that you’ll be able to get the best of both worlds: teaching in a classroom and a clinical setting. The nursing profession is a demanding one. As a result, there might be shortages of nurses in certain areas. This is where the traveling nurse comes in. Oftentimes, traveling nurse assignments can last anywhere between 13 to 26 weeks. One of the benefits to choosing this as a profession is that you get to travel while doing what you love—that is, if you like to travel. Even then, you’re able to live anywhere you want at any given period of time—something that a ‘regular’ nurse wouldn’t be able to do. For instance, a traditional RN may find him or herself employed in a single facility and have the obligation of reporting there for duty every day. As a traveling nurse, your assignments change regularly and you have the opportunity to work in places that most people vacation to. In this profession the cost of relocation is paid for, but if you’re traveling with your family, oftentimes, you might be required to pay half of your living expenses. For more information on traveling nurses, visit TravelNursing.com. If nursing is your true passion, then you might find yourself climbing the ranks of the nursing field and getting promoted to the position of Head Nurse. The Head Nurse is responsible for planning the staffing budget, reviewing and approving nursing polices and procedures, training and accessing the nursing staff’s performances, and basically overseeing the entire operations of the nursing unit. Hospice care is for patients who no longer want or respond to medical treatments. The role of a Hospice Nurse is to care for terminally ill patients and assist their families through the life-end process for their loved one. Hospice nurses offer medical care and supervision as well as emotional support, ensuring the comfort and quality of the patient’s remaining days. If you’ve always had a heart to work with kids, working as a Pediatric Nurse might be the perfect fit for you. Pediatric Nurses work just like traditional RNs, except their patients are children. Oftentimes, children need a little extra attention and care. This is where a nurse’s communication skills are needed. Patients can be sensitive, given their environment. It is the RN’s job to make sure that the patient feels safe and secure while under their care. When you think of working as an RN in a nursing home, caring for the elderly may come to mind. As common as that might be, nursing homes aren’t just for the elderly, but if you choose to work as an RN because you prefer to care for older people, you might want to consider working in the Geriatric Unit. Either choice might be rewarding for an RN. The medical profession is about progress, and part of that progress includes advancing in technology and medicine. This is done through research. If you find that you’re more intrigued with studying the science of nursing than working as a nurse, research may be the best fit for you. Here, you’ll be on the front lines assisting with groundbreaking discoveries to advance medicine, thus aiding in the care of curing diseases. 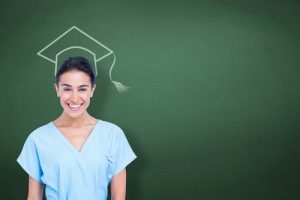 There are a myriad of career options that graduates with a BSN can delve into, but first, you need to take the first step and earn your degree in Nursing! 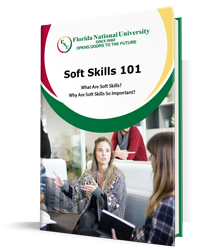 Contact Florida National University for a free consultation with one of our guidance counselors today!